Shareef O’Neal is an elite high school basketball player with a five-star Rivals rating and a commitment to play at Arizona next season. 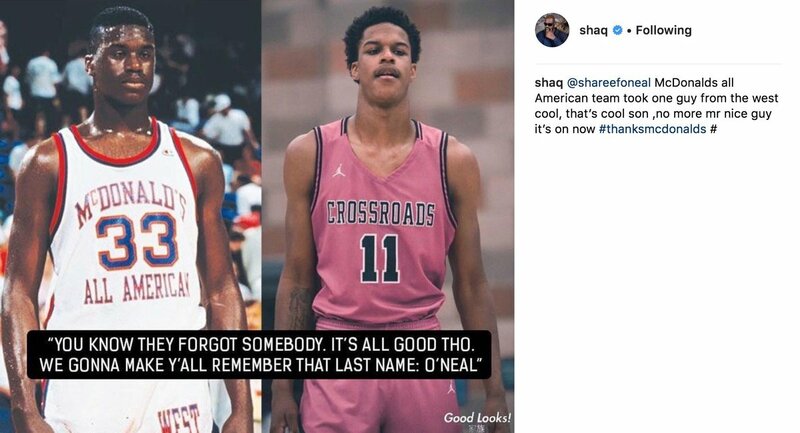 He is also Shaquille O’Neal’s son. 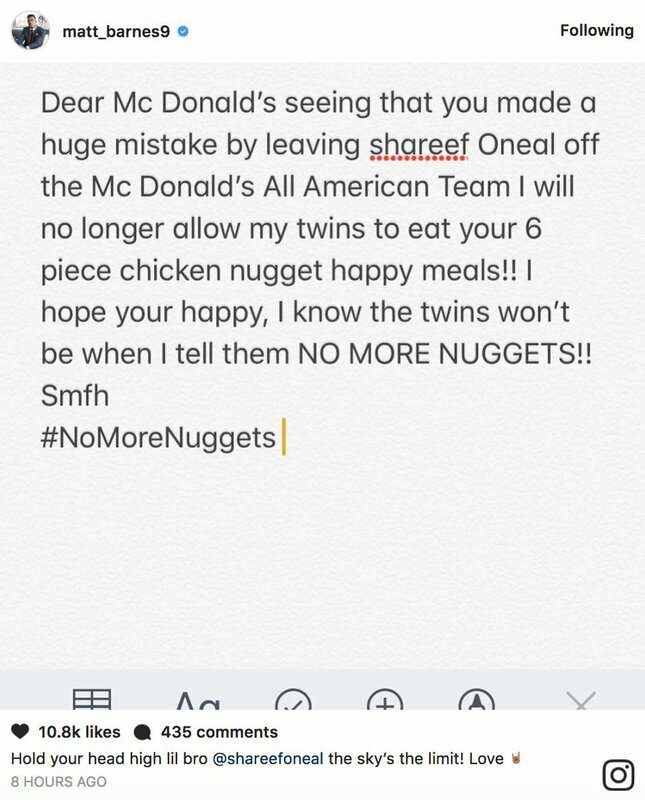 When the McDonald’s All-American Game teams were announced this week, O’Neal was not rostered. And he was clearly upset. O’Neal’s candidacy was borderline. Rivals has him ranked as the No. 28 prospect in the country, while 24 players are named to the game. But it’s understandable that he’s disappointed to not have the chance to match his dad’s 1989 McDonald’s Game MVP award he shared with Bobby Hurley. But, because of his name, others took notice as well, including 2003 McDonald’s MVP LeBron James. While other borderline players who missed the cut aren’t getting social media shoutouts from the King himself, they also don’t have a father who played NBA basketball with James. But the best show of love came from former NBA player Matt Barnes, who is harnessing his power as a consumer and risking some cranky kids to protest O’Neal’s absence from the team. With a boatload of talent, this kind of support and chance to be a centerpiece at a high-level college basketball program next season, we’re guessing O’Neal will be just fine.